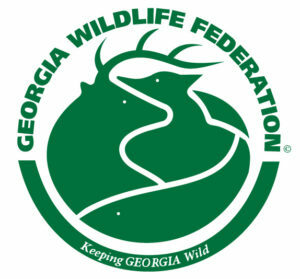 Georgia Wildlife Federation is one of six recipients of Georgia DNR’s 2019 Watchable Wildlife Grant program. The purpose of the GA DNR program is to improve public opportunities to see and learn about our state’s priority animals, plants, and habitats. 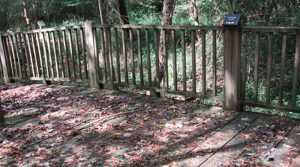 GWF is using the funding to repair and upgrade a boardwalk and observation platform at the Alcovy Conservation Center (ACC) in Covington. Trails at the ACC meander through a Piedmont tupelo river swamp. Elevated boardwalks are used to cross over the swamp and provide an observation area. The $3000 grant will be used to repair a 5’ x 150’ portion of boardwalk with an attached 14’ x 16’ observation platform. Much of the work will be accomplished through a partnership with a local Eagle Scout candidate. Work is scheduled to be completed by the end of the summer. GWF offers free access to trails and boardwalks at the Alcovy Conservation Center Monday – Friday from 8:30 am – 5:00 pm and on the weekends for special events. To learn more about the Alcovy river swamp and its wildlife, visit the http://www.gwf.org/acc/. Resources include information about the trails, Alcovy River, and migratory birds.